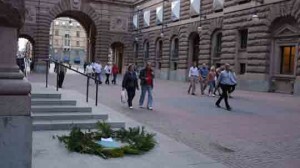 Stockholm Baltic Sea Tour Press Release – Swedish Parliament Decision Declared Illegal. 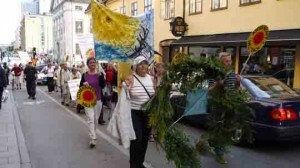 The organizations behind the Nuclear Baltic Sea Tour 2010 are declaring the decision of the Swedish parliament, made on the 17th June this year, illegal, and propose taking action though courts in countries affected by the radioactivity released by the Swedish and other nuclear sites on the Baltic Sea. The Swedish MPs had no mandate from the people to make such a decision. 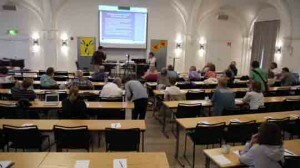 The recent elections in Sweden avoided the nuclear power questions and the 17th June decision of Parliament overturns the democratic decision of the people of Sweden taken in 1980, said Ditta Rietuma, general secretary of BSRRW.org. In the 25 years of operation of these plants, the aggregated releases have exceeded the quantity of radioactivity released by the Chernobyl accident, said Roland von Malmborg, the chairman of BSRRW.org, and recent discoveries in science have shown that the national agencies have been applying an outdated and incorrect radiation risk model. The radioactive contamination of the Baltic Sea is now astonishingly high and is causing serious health problems in coastal populations, said Prof Chris Busby, one of the experts advising the organization. Breast cancer rates in the coastal counties of Sweden increased by 15% in the 5 years following the Chernobyl accident, whereas, in the inland counties the rates actually fell! He said. This too is a matter for the European Courts and National Courts in the affected countries since their citizens are suffering harm. 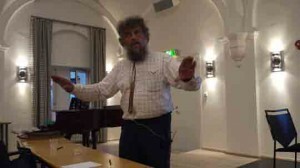 Furthermore the Atomic Industry has made Sweden poor, says economics professor Ake Sundström. Up to the end of the millennium, an astonishing 275 billions SEK of losses have been poured into the black hole that is the nuclear industry, he continued. This analyses was endorsed by Belorussian professor Georgij F. Lepin, an international expert on the economics of nuclear energy. 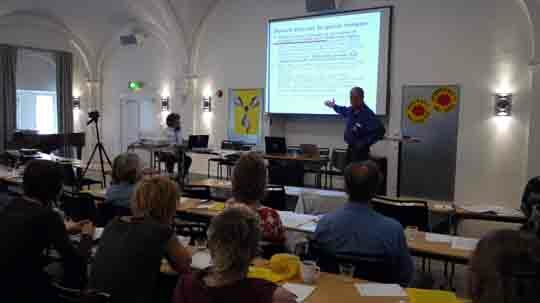 Swedish expert Gabor Tiroler revealed that Sweden has now become subordinate to the US in many areas involving nuclear pollution. The undemocratic decision taken to permit the bombing by US and NATO forces in Norrbotten is an unprecedented and astonishing event. The US have refused to deny that they will be testing new weapons systems containing the radioactive substance Depleted Uranium. Nuclear Baltic Sea Tour activities in Stockholm 9th – 11th of August 2010. 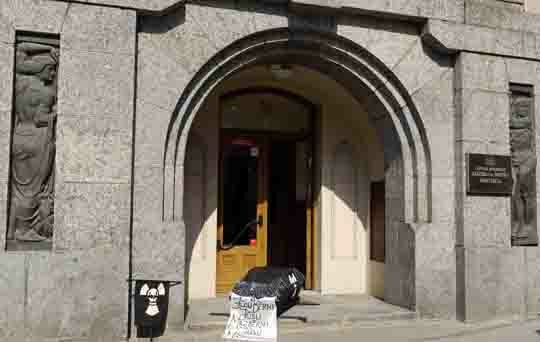 15.00 – 15.30 Press Conference. Starts at Medborgarplatsen with some speakers. Around 18.00 a symbolic ceremony at the Swedish Parliament to the past, present and future victims of the Atomic Industry. Around 18.30 speakers at Raoul Wallenberg Square. Geology at the nuclear waste repository sites. Sea Levels of the Baltic Sea. Nuclear colonization of the Baltic Sea Region by the global military industry where Sweden is a key player. 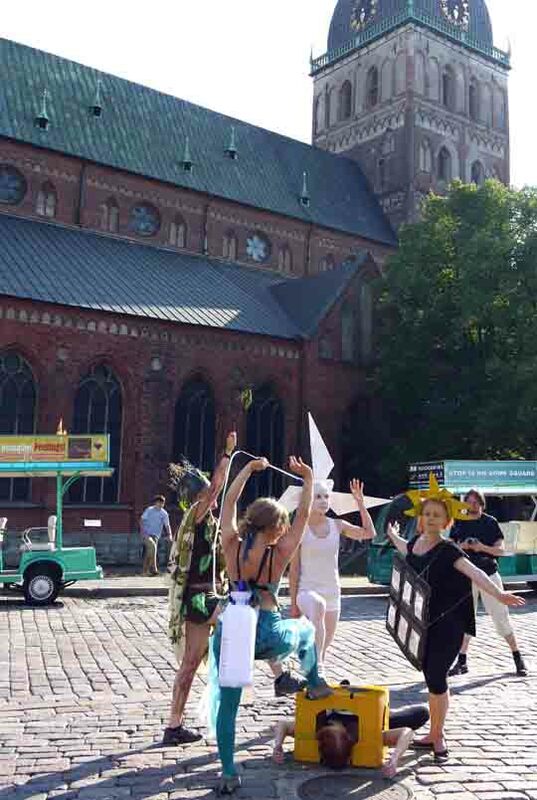 Nuclear Street theater action group from Finland: Symbolical Funeral Ceremony of the Victims of the Nuclear Industry at the Freedom Monument in Riga, Latvian Ministry of Sciences and the War Museum 12th of July; The Environmentaly Sustainable Energy Godesses conquer the Murderous Nuclear Darkness, 13th of July . ECRR, European Commitée on Radiation Risk scientific secretary prof. Chris Busby participated in the Nuclear Baltic Sea Tour activity at the Eduacation and Science Ministry of Latvia in Riga. 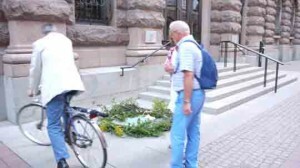 Minister Tatjana Kokje happened to leave the building at the same time and was impulsively intervjued. Minister Tatjana Kokje even happens not to know that nuclear waste cemeteries are built on the shore of the Baltic sea in Finland and Sweden. We did not manage to ask her if she knew about plans to build a Nuclear Power plant in Latgale, Latvia. The conversation quite apropriately happened in front of the War Museum (nuclear waste is used for the DU and modern Uranium weapons). Behind the camera with love: Ditta Rietuma. Anti-nuclear infotour stresses the threats of nuclear power: Stop Nuking the Baltic Sea – Stop Nuclear Power! Today the “Stop Nuclear Power! Baltic Sea Info Tour 2010” has been launched with a press conference in the Finnish parliament. 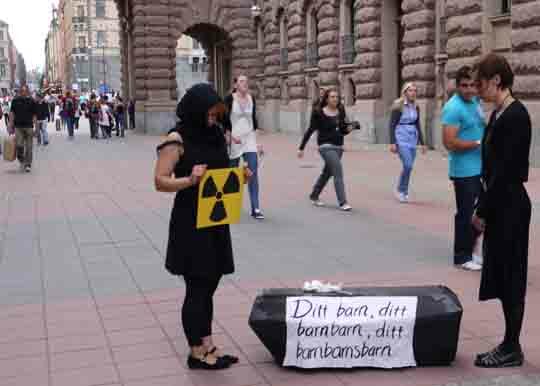 While nuclear industry and governments are pushing dangerous atomic developments around the Baltic Sea, an info-tour of critics and activists travels for two months some 6,000 km and stops in 15 places to stop the nuclear nightmare. 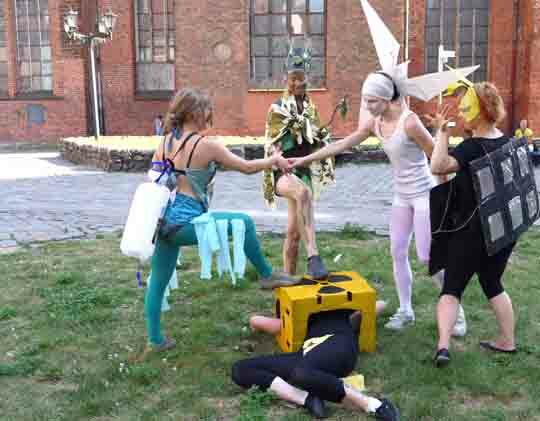 Together with the local movements they will do actions, connect to other activists and educate about the radioactive pollution of the Baltic Sea. “The Baltic Sea is the most radioactive in the world” that is what the data of the “Helsinki Commission”, a body of scientists of the governments around the Baltic Sea shows. Concerned activists and organizations tour around the sea this summer to show up in the places of nuclear threats to people, environment and future generations. They will put pressure on the decision makers in Finland who want to decide about additional nuclear power plants on July 1. They will highlight the threatening plans in Sweden to build new and more dangerous nuclear power plants one months before the Swedish citizens will vote for the new parliament. 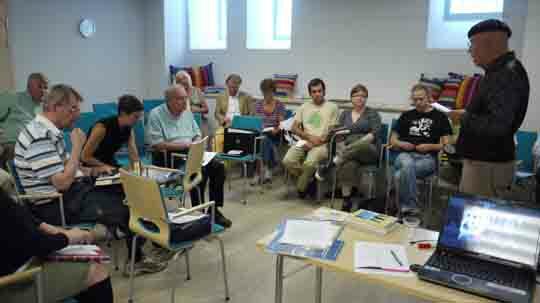 They will support the regional groups in Northern Germany who are preparing the resistance against the soon expected transport of high level nuclear waste to a repository in Greifswald by the Baltic Sea. They will protest together with Polish activists at the site of the proposed first Polish reactor. They will meet Russian activists to educate about the impacts of the new reactors at the Leningrad NPP in St. Petersburg. 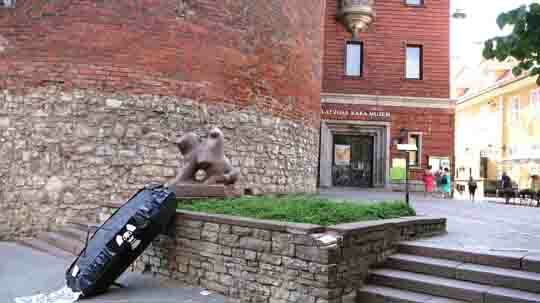 They will support the anti-nuclear movement of Belarus in their fight against nuclear power. Finally the info-tour will come back to Finland in the middle of August to show the nuclear industry and the government of the country of the so-called ?Nuclear Renaissance? 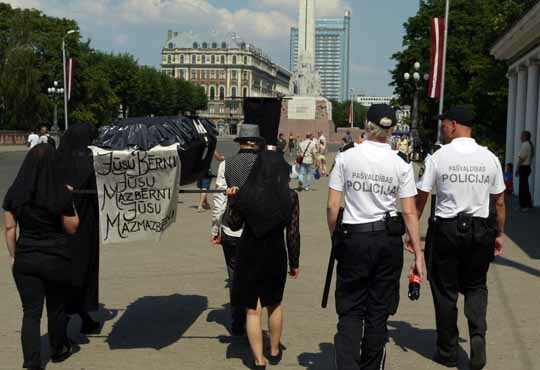 that they won’t get rid of anti-nuclear protests and that the international anti-nuclear movement is willing to support the actions of the Finnish people against the atomic occupation of their region. While the Swedish parliament is pushing the construction of new reactors at all of the existing nuclear power plant sites, the info-tour will arrive in Malmö and Stockholm one month before the Swedish parliamentary elections. With information events and street actions they will stress the threats of nuclear power and put pressure on the parties and decision-makers to withdraw their proposal for an extension of the atomic technology in Sweden. In Lubmin close to Greifswald the intermediate repository for high level radioactive waste ZLN (Zwischenlager Nord) is located. Castor transports of high level radioactive waste are expected to take place by autumn of this year. Thus, the Baltic Sea Info Tour will stop in Greifswald to support the local resistance against these atomic shipments. 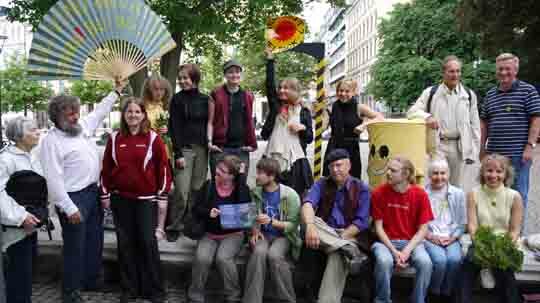 They will also gather with anti-nuclear activists from all over Germany to share experience as help educating about the risks of nuclear power and especially the threats connected to these nuclear transports. Since the governments of Russia and Belarus are pushing for the construction of new reactors, the info-tour will meet with activists in St. Petersburg, Minsk and Vilnius to protest against these power plants and to do action and information events in these cities. In Poland the Baltic Sea Info Tour will stop at Jezioro Zarnowieckie, the most likely site for the proposed first reactor of Poland. 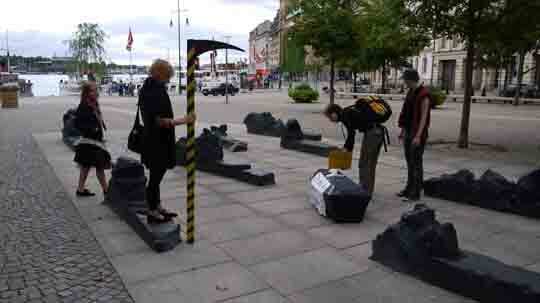 While Denmark has no atomic power itself it is affected by the Swedish nuclear industry – in Copenhagen the anti-nuclear tour will support activists to raise the public awareness for this threat. The Baltic Sea Info Tour is important as it counters the pro-nuclear propaganda of a few powerful companies spreading lies to the people since they are claiming that atomic power would be clean, safe and necessary to protect the climate. The truth is the opposite: nuclear electricity is causing more carbon dioxide emissions than a modern gas fired station, because of the energy demanding uranium processing facilities. Hazardous accidents like the Chernobyl catastrophe or the disaster in Harrisburg are possible every day – the numerous accidents and incidents happening every year demonstrates this threat. However, atomic power also produces large amounts of eternally dangerous nuclear waste without any hope for a safe final solution. And even if there would be no accidents, the permanent radiation of the nuclear power plants is proven to be responsible for the significantly increased cancer rates around these facilities. Today the Baltic Sea is regarded to be the most radioactively polluted sea in the world. This is due to the military and civil atomic industries – the impacts of the Chernobyl accident, nuclear bomb tests, Sellafield nuclear facilities (UK) and the nuclear power plants around the Baltic Sea. 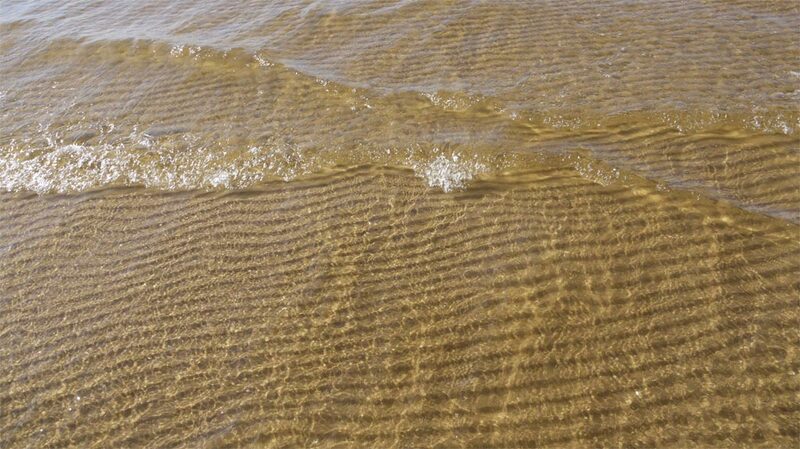 Radiation put into this inland sea is concentrated and not dispersed as there is less exchange of water with the ocean. Additional threats to the Baltic Sea are caused by the atomic transports across the sea of uranium, waste and fuel elements. The proposed final disposal sites beneath the sea in Finland and Sweden as well as by the new reactor projects in Russia, Belarus, Poland, Sweden and Finland would increase the radioactive impacts to the whole region. 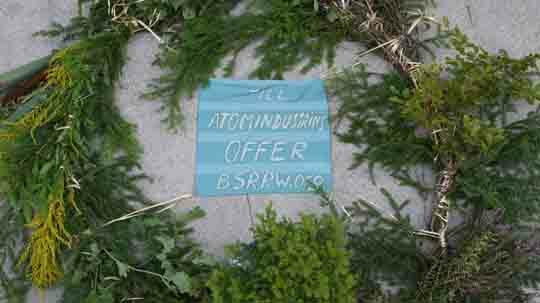 http://baltic-tour.nuclear-heritage.net and find out the places next to you. If you have questions you are welcome to contact us at media@nuclear-heritage.net or at +358 41 7243254. This media release is provided by the “Nuclear Heritage Network”. 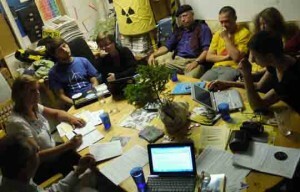 It is an international network of anti-nuclear activists. This informal alliance supports the worldwide anti-nuclear work. The Nuclear Heritage Network is no label, has no standard opinion and no representatives. All activists of the network speak for themselves or for the groups they represent. On Monday evening, 21 of June 2010, we will launch the “Stop Nuclear Power – Baltic Sea Info Tour 2010” with a welcoming event in “Uncan”, the place of the infotour stop in Mariehamn on Åland. For the following days the Ålandic activists a great programme of lectures, workshops and street actions to discuss the nuclear industry’s impacts to the archipegalo situated between Sweden and Finland. 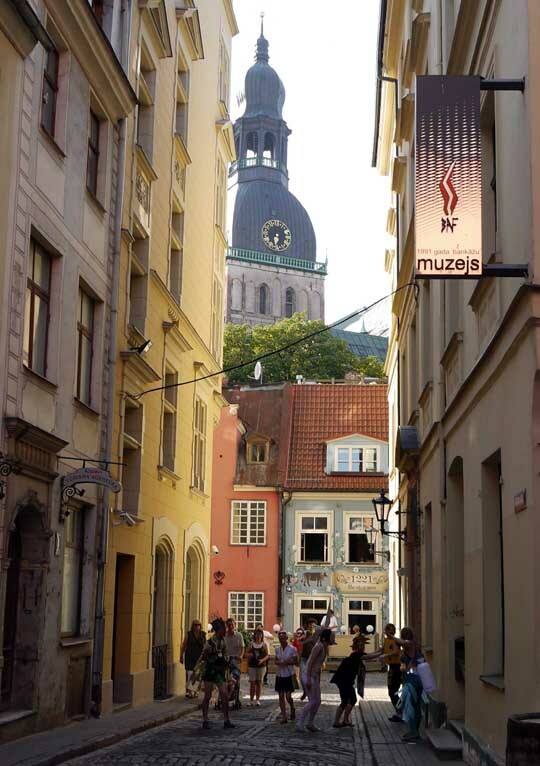 From Turku a biketour will start crossing the beautiful archipegalo using small ferries and cycling for some two days. The biketour will visit some renewable energy generation sites, alternative projects and touristic spots for recreation and fun. We want to invite you warmly to join the beginning of the infotour now! Please announce us your participation to plan and prepare accommodation, food and the activities. In case you can’t afford your travel costs, please contact us – we can discuss the possibility to cover these costs for you. On Tuesday we will have lectures about “Nuclear Power in Finland” and “Åland in the Shadow of Nuclear Power” as well as presentation of anti-nuclear groups joining the infotour project. There will also be a discussion “Nuclear Power in Finland: What do we do after 1st July?”, that refers to the proposed parliament decision about new reactor plans Finland on July 1. In the evening the film “Into Eternity” will show plastically the unsolutable challenges of the final disposal of nuclear waste. A networking gathering with groups and activists from Åland, Sweden and Southern Finland will take place on Wednesday morning. We want to get to know each other and learn about projects and campaigns the people are working on. The gathering’s aim is to start cooperations for future activities to strengthen the local movements and the impact the proposed projects will have. Another lecture will focus on “The Nuclear Waste Problem in the Nordic Region” and in the evening a public music event against nuclear power will take place in the Café Bonan. 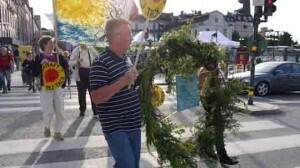 Thursday will be the action day in the streets of Mariehamn. BTW: In August the Baltic Sea Info Tour will come back to Finland and will have activities in Olkiluoto/Rauma (August 14-16) and Oulu (August 18-20). Afterwards the international Olkiluoto Blockade will take place on August 28. 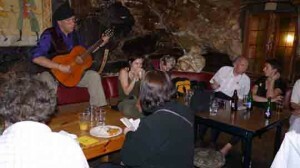 Please tell us as soon as possible about the parts of the tour you wonder about participating. If you are not completely sure if you will really participate, please mention it – but it is better to know also the “unclear” plans to join to have a possibility to arrange the stops as good as possible.